Perhaps you’ve toured Southeast Asia. Or perhaps you’ve explored elsewhere in the East or gone so far as the Near East. Of all the far-flung corners of the Asian continent that inspire travel and adventure, there is still one isolated region that is seldom visited by even the hardiest of backpackers: Central Asia. And most peoples in Central Asia have liked it just that way, thank you very much – they’ve already had a lifetime’s fill of geopolitical gamesmanship. I read to get away, to see farther, to explore the unknown. For that feeling, I often turn back to the work of Peter Hopkirk. A British reporter for The Times of London in the 1970s, Hopkirk took a special interest in Central Asia. He subsequently wrote a series of books chronicling the rise and fall of powers, the radical exploitation of archaeological artifacts and the struggle for influence in the region – trade, politics, ideology – between China, Russia and Britain. Hopkirk’s writings not only provide the perfect literary getaway for summer, they also have the piquancy of detailing the history of what was, arguably, the last and largest blank spot on earth for Western maps. 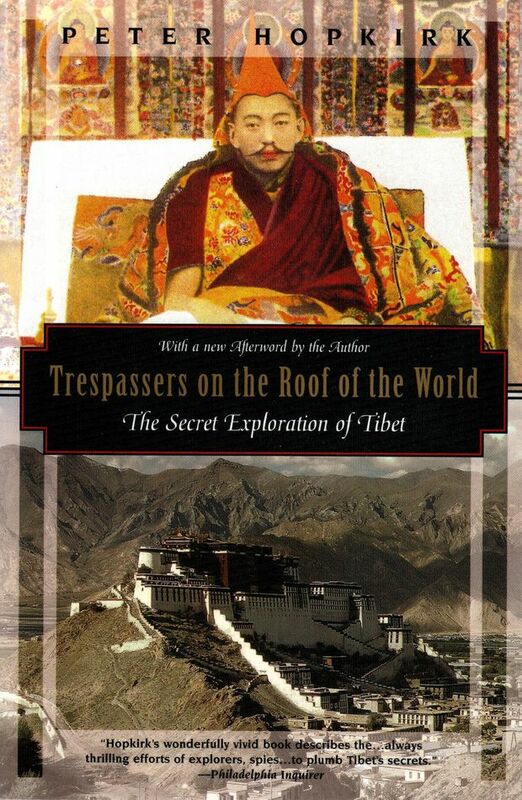 The best of Hopkirk’s Central Asia stories is Trespassers on the Roof of the World: The Secret Exploration of Tibet (1982), which recounts the attempts by foreign powers to fill in those blank spots first. Central Asia (also known as High Asia) which includes parts of Afghanistan, far western China and Kyrgyzstan. The region had always been a magnet for world intrigue and jostling for trade hegemony. In the 19th century, it all boiled over in what the British coined “The Great Game,” and at the epicentre of these face-offs was always Tibet. Britain wanted to establish trade in Tibet before Russia. Russia, simultaneously, was trying to manage a homegrown revolution and keep the British at bay. China had not yet found the military footing to assert their claim to the country. Even Japan was interested in what Tibet could do for them – it was a clear age of unchecked border aggression. In the middle of this swirling conflict survived hundreds of thousands of Tibetans who wanted nothing more than for all these “foreign devils” to just stay away, a desire that was expressed with spears, rocks and matchlock rifles from the previous century. Tibet was forcibly entered for the first time by Britain in 1904 and its current Chinese occupiers broke through in 1950. Against this backdrop of history, Hopkirk focuses on the period’s travellers and explorers who represented these foreign interests. He takes us through their sporadic, and then concerted, attempts to reach remote Lhasa. Their adventures were harrowing – their endings were often fatal. 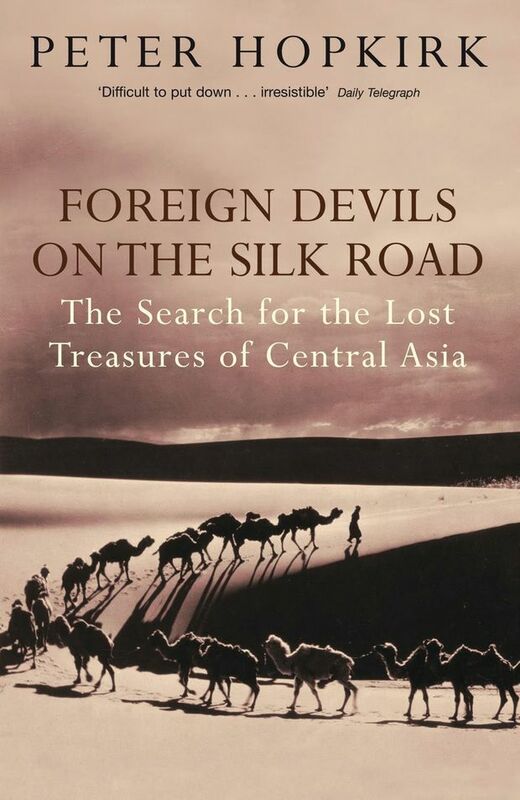 Next on my list is Foreign Devils on the Silk Road: The Search for the Lost Cities and Treasures of Chinese Central Asia (1980), a winding tale of 19th-century archaeology and the plunder of cultural relics, frescoes and manuscripts. Along a section of the Silk Road skirting the edges of the Taklamakan Desert (“you go in but do not come back out,” describes Hopkirk), thousands of years of devotional art and paintings were dug up, cut away or otherwise stolen and carted off by the camel load to museums elsewhere. Britain, France, Germany, Japan, Sweden, the United States – everyone wanted their piece of this previously untouched treasure. Hopkirk finds key characters in those who got their own hands dirty: It took years and multiple journeys to Central Asia for explorers such as Aurel Stein, Sven Hedin, and Albert Von Le Coq to plunder as much as they did. On Google, you can view their staid black-and-white portraits. In Hopkirk’s pages, they truly come alive. There’s a freedom I feel when reading Hopkirk in summer. His books show me the possibility I can see in myself. Could I have withstood such cold, such heat out there in Lhasa and beyond? Would I have been daring enough to challenge local authority in the remotest parts of the world? For those of us born a century too late, Hopkirk, who died in 2014, writes in a compelling, well-annotated style that generates a thirst for very real high adventure. You could throw on 30 pounds of backpack and find your own slice of the world to explore, but his histories will also do the trick from the comfort of a dock or beach.